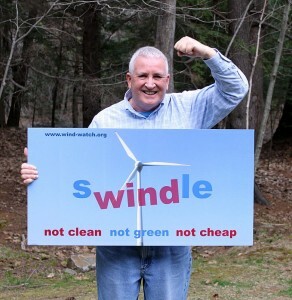 Brad Blake is a prominent critic of wind power development in Maine and a founder of the Citizens’ Task Force on Wind Power. Brad is a native of Lincoln, a graduate of the University of Maine, and currently lives in Cape Elizabeth. His varied working career once allowed him to live for several years in Maine’s mountains. It was the development of a wind power project in his hometown area of Lincoln Lakes and the threat to his beloved mountains that galvanized his activism in this controversial issue.